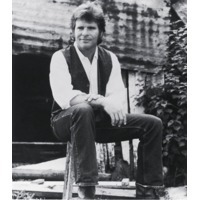 John Cameron Fogerty (born May 28, 1945) is an American rock singer, songwriter, and guitarist, best known for his time with the swamp rock/roots rock band Creedence Clearwater Revival (CCR) and as a #1 solo recording artist. He was born in Berkeley, California and is the younger brother of the late Tom Fogerty. He attended El Cerrito High School along with the other members of CCR.